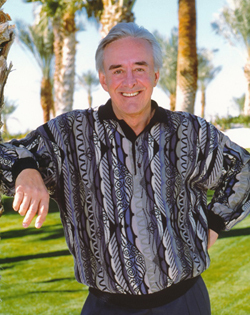 Bill Walters is the owner of Walters Golf which operates three Las Vegas golf courses (Desert Pines Golf Club, Bali Hai Golf Club, and Royal Links Golf Club), and is also known as a generous benefactor of Las Vegas organizations. His courses each carry a unique theme and his willingness to invest in his courses is admired by those in the industry. The Walters Golf Group, under the direction of Walters, is dedicated to quality and offering unique golf experiences. Walters, and his wife Susan, have been honored by several organizations for their generous support including the National Society of Fundraising Executives and Opportunity Village, and they are members of the UNLV Palladium Society which recognizes individuals for gifts of more than $1 million.